Bollywoo: 2011 IIFA Toronto...Big Disappointment! 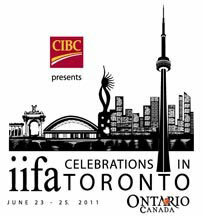 With all the BUZZ and HYPE surrounding the 2011 Toronto IIFA Awards - one expected a brilliant showcase of Bollywoods best last weekend. Media was all over the awards for weeks before the event actually began - articles and ads were published daily in all the local and national newspapers including multiple page inserts in several papers describing Bollywood, it's history and it's superstars. A special gallery of lobby cards from past Bollywood films was organized at the ROM (Royal Ontario Museum). The organizers boasted that the tickets were sold out within a few minutes. Nothing less than a phenomenal show was expected by the crowd of more than 25 thousand gathered at the Rogers Centre. Alas, as with the movies that Bollywood has been churning out recently, even the 2011 IIFA's were a major disappointment. Everyone I have come into contact with who has seen the show expected a lot more than what they got and felt majorly letdown. Not only did the show start almost 2 hrs late it went on till 2:30 am including one 5 minute speech which lasted 45 minutes. Kanagana Ranaut looked dead in her performance, no energy and could bare move her arms and legs. If that wasn't enough even the Green Carpet Ceremony was a huge disaster (can't call it red carpet because they're too cool and want to show their support environment plus I'm sure the cheap looking artificial green turf, not carpet, was easily available from the Rogers center). The carpet ceremony was so unorganized that most stars didn't even know which press person to go to for their interview and everyone from the stars to the interviewers looked dazed and confused not one reporter asked a decent question and the Big stars shyed away from the interviews all except for Shah Rukh Khan. Seriously, who wants to hear what Lisa Ray, Amisha Patel and Dia Mirza have to say anymore. Sunny Deol didn't say a single word, Sharmila Tagore and Dharmendra were completely ignored by the reporters, Hema Malini said two words, the hosts Bowman Irani and Ritesh Deshmukh were no where to be found on the green, Sonakshi Sinha, Malika Sherawat, Anushka Sharma and Priyanka Chopra was also amongst those missing from the green carpet interviews. Salman Khan, Hrithik Roshan and the Bacchan family didn't come. The reporters and in-studio analysts came across as too narcissistic. Why 90% of the show was devoted to Lisa Ray, I'll never understand. This was probably the longest carpet ceremony in the history of Award shows lasting 3 hrs with the only highlight being an interview with Hollywood star Cuba Gooding Jr. who was clearly having good fun. Considering Ontario spent 15 million dollars on the IIFA event, the least the organizers could have done was provide a good show. 2. IIFA 2011 Wrap up!